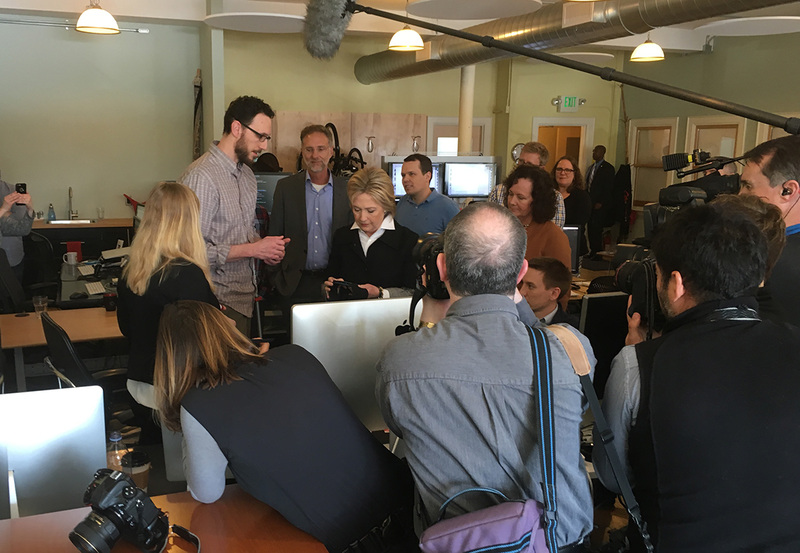 Yesterday at about noon, our Grand Rapids office hosted a visit and Q&A with presidential candidate (and former Secretary of State, Senator, and First Lady) Hillary Clinton. We have a broad spectrum of political affiliations at Atomic, so this may seem like a strange choice. But hosting this visit was not meant as an endorsement or other show of support. Atomic Object does not have a political opinion, nor do we (as a company) donate to political candidates. So why the visit? I believe that, during this interesting election year, with so much at stake for the country, it’s essential that we support the political process and help educate people on their choices. 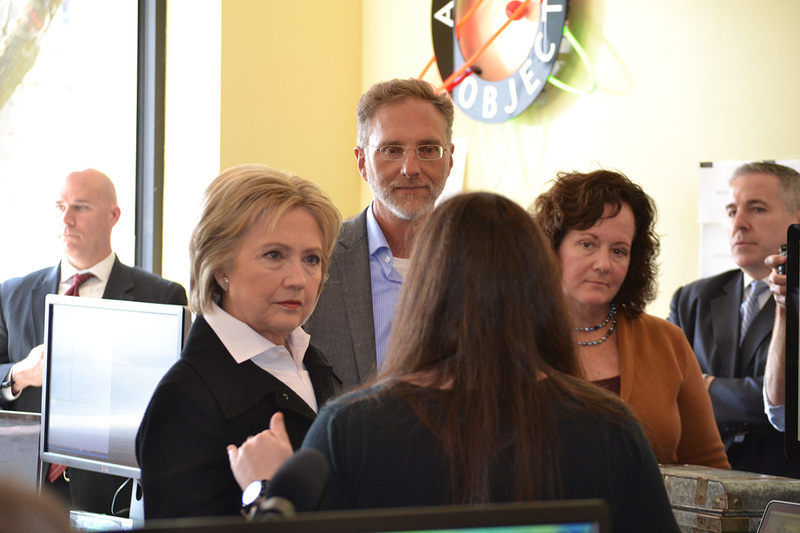 So when the Clinton campaign was looking for a technology firm to visit in Grand Rapids, and Elissa Hillary at Local First suggested Atomic, we were flattered and honored to be chosen. 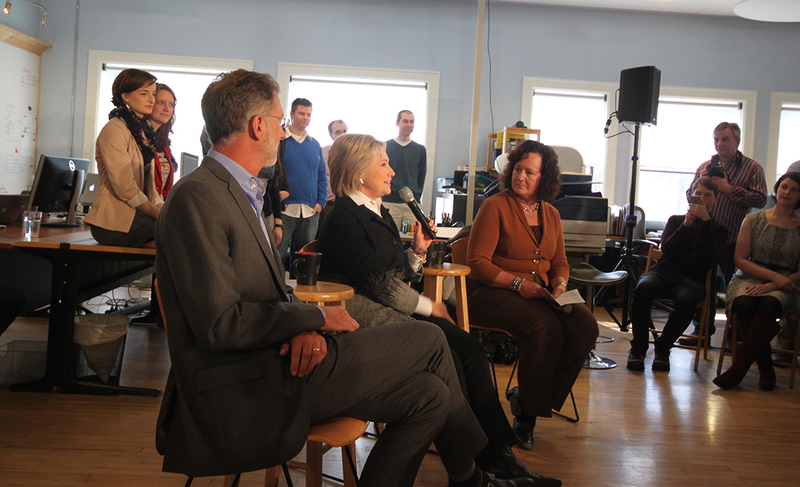 Secretary Clinton answering questions at a town hall-style meeting. It’s great to be recognized for your progressive policies and your success, and to know that the campaign considered you a good venue for their candidate to make connections with smart people. 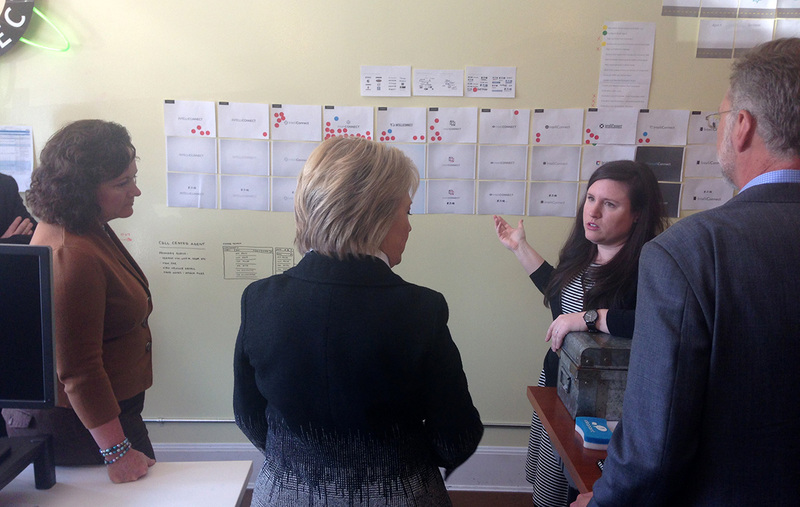 Atom Kimberly Wolting explains dot voting and gets Secretary Clinton to give it a try. It was also great to be able to share exciting projects like Quell with the potential future President of the United States. Atoms Patrick Bacon and Brittany Hunter demonstrate the Quell system we helped create for NeuroMetrix. The event was quite a circus, with press and campaign staff showing up as early as 7 — all of them very polite and helpful. 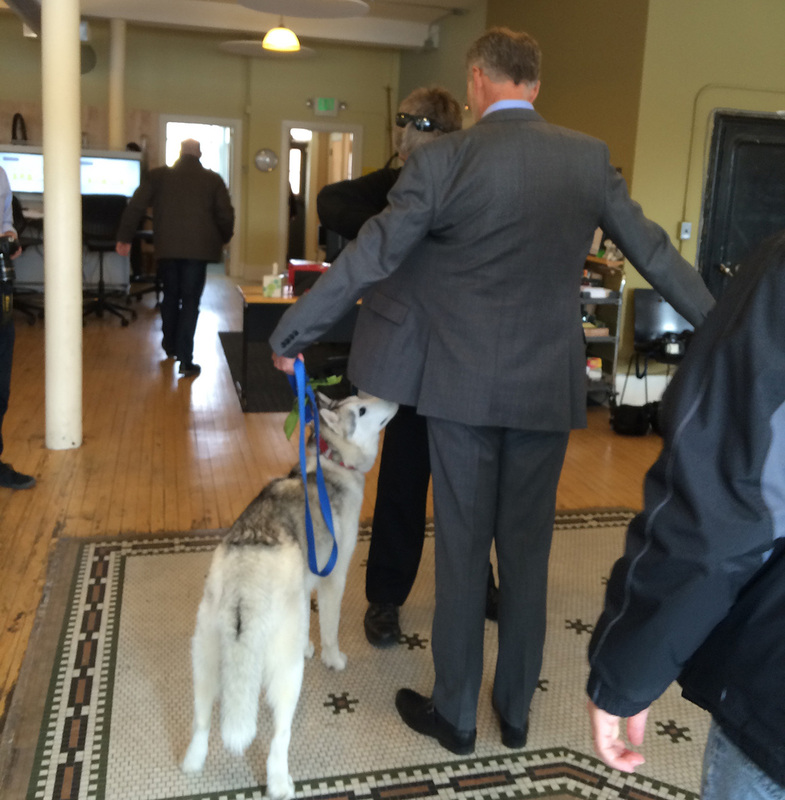 Loki and I go through security, with help from the Grand Rapids Police Department. And while it was a significant disruption of our day, from a business perspective, I was happy to make this once-in-a-lifetime opportunity to get that close and talk to a major political player and candidate, which all Atoms seemed to appreciate. 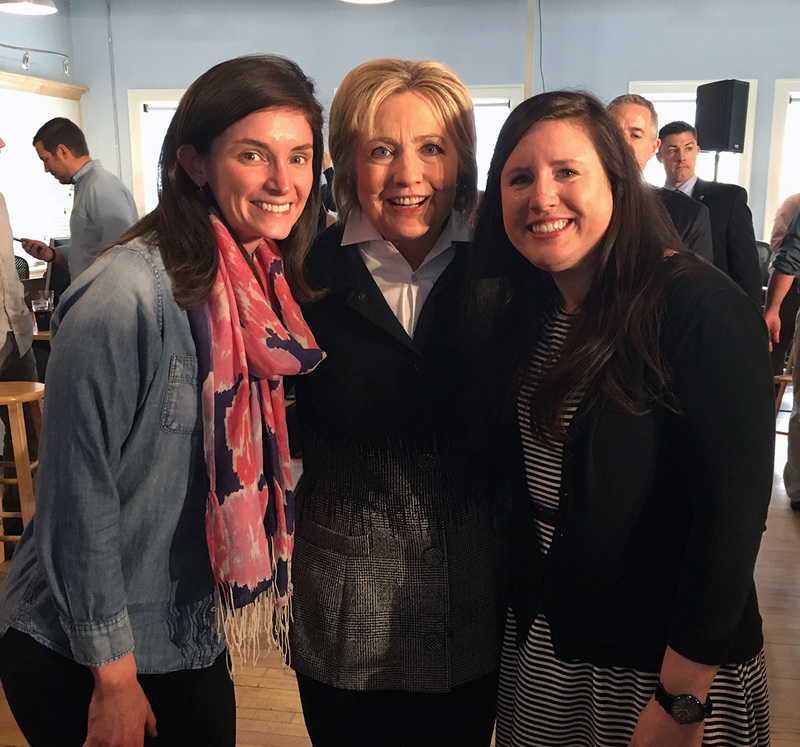 Atoms Julia Jamieson and Kimberly Wolting with Secretary Clinton. Looks like a very interesting day.